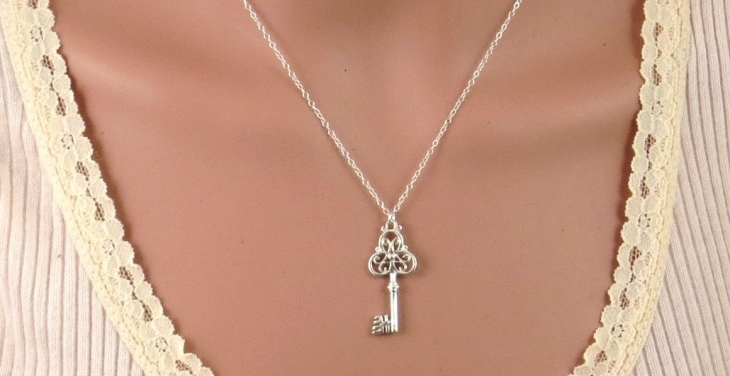 Key pendants bring a lot of style and meaning to the necklace. 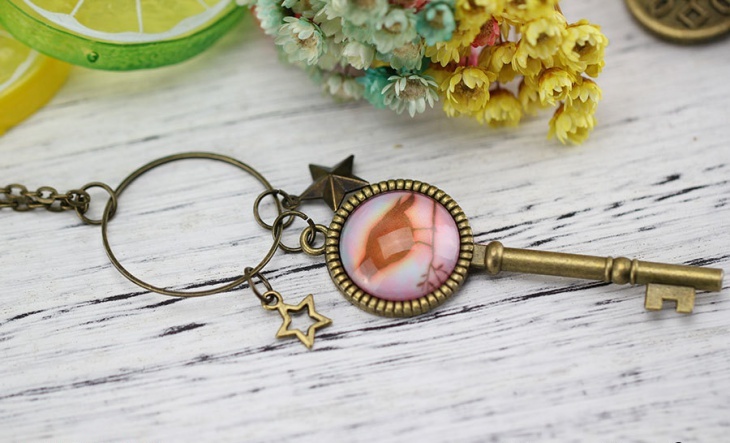 There are many variations and types of key pendants to choose from. Cylinder pendants are also a popular trend. Beaded pendants add more elements and highlights to a necklace, while vintage pendants showcase charm from the past. You can pick a pendant that conveys your style and personality. 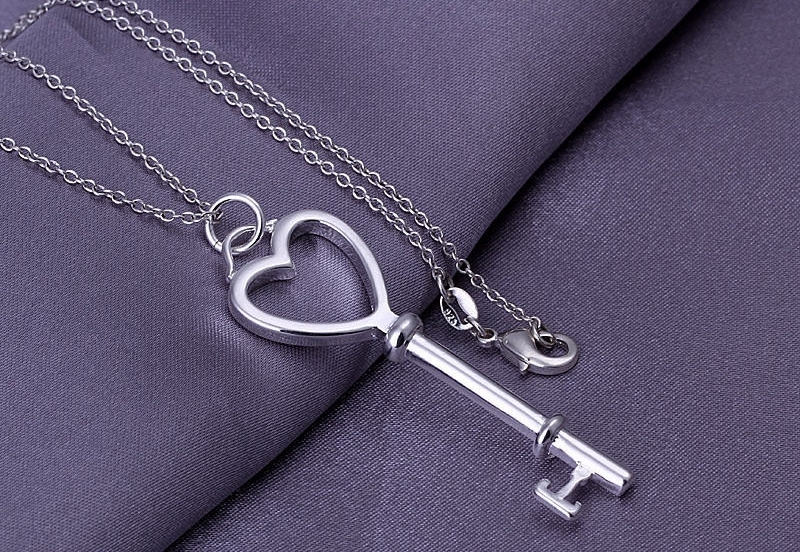 This key heart pendant is made of sterling silver and features a heart shape on the key. 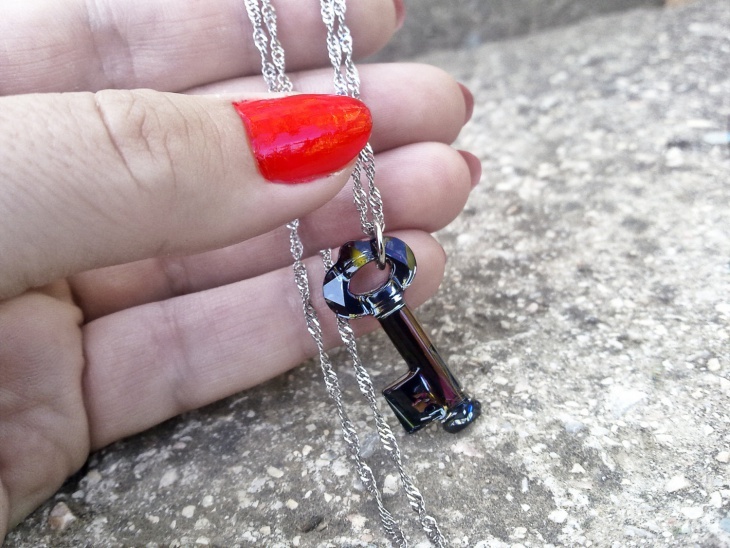 This cute and simple pendant is an impressive gift for your loved one. 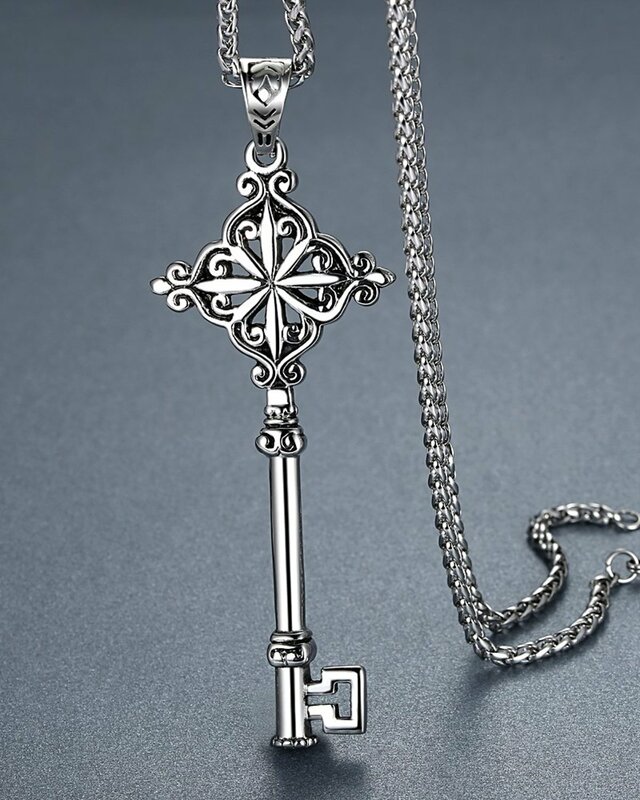 This antique key pendant is made of alloy with antiqued silver tone. 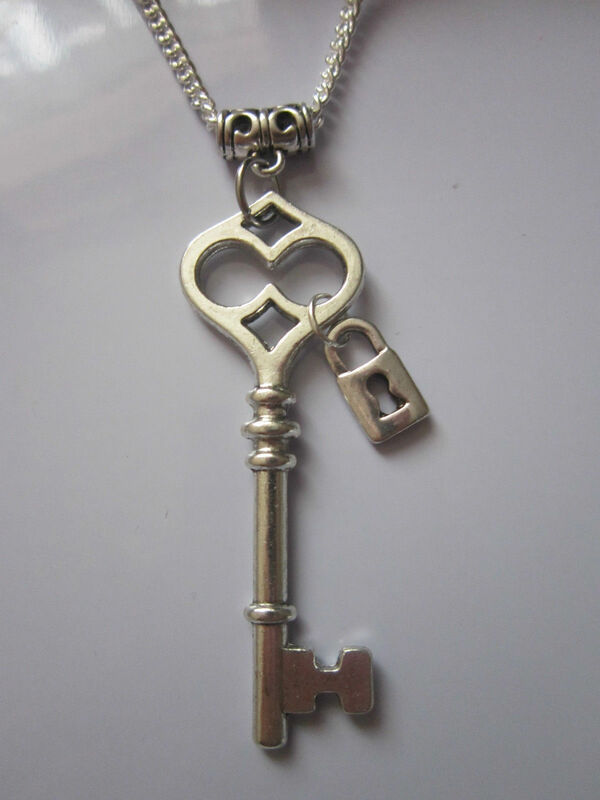 The key measures 6 cm long and the silver plated chain is 21 inches long. This key diamond pendant is accented with a diamond and features a heart-shaped gemstone at the top. The cable chain has a lobster-claw clasp. 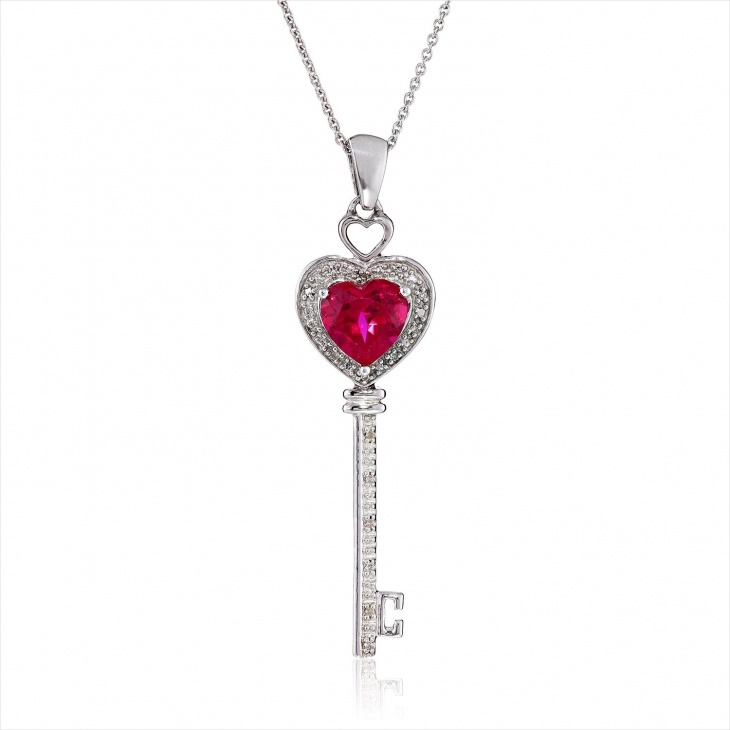 This ruby key pendant is made of pure brass and features a Swarovski crystal. 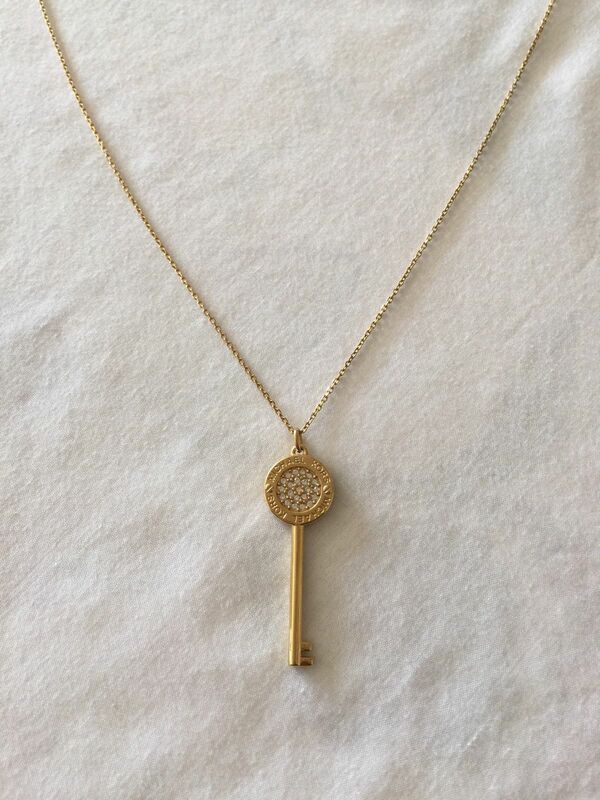 The brass chain is 18 inches long. 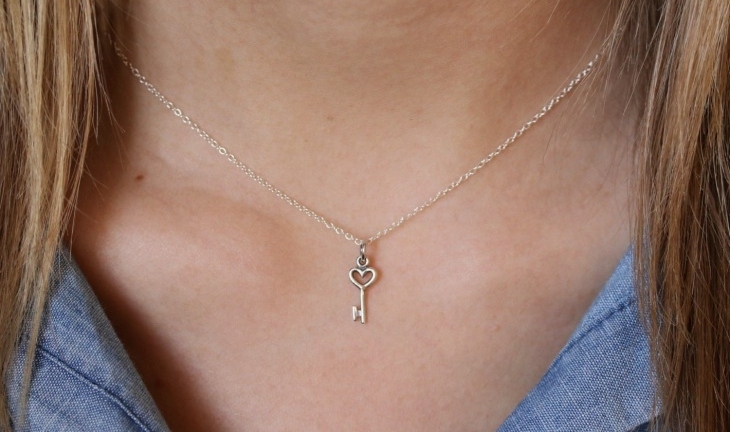 This key and lock pendant features a heart-shaped lock along with a key. 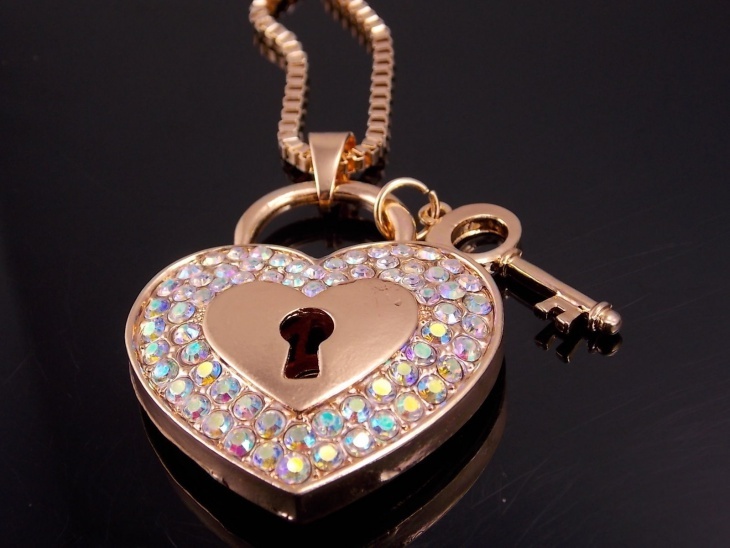 The pendant is made of gold-plated alloy and features rhinestone crystals. This black key pendant jewelry features cute angel wings and a crystal iridescent heart at the center. It is attached to an adjustable leatherette black cord. 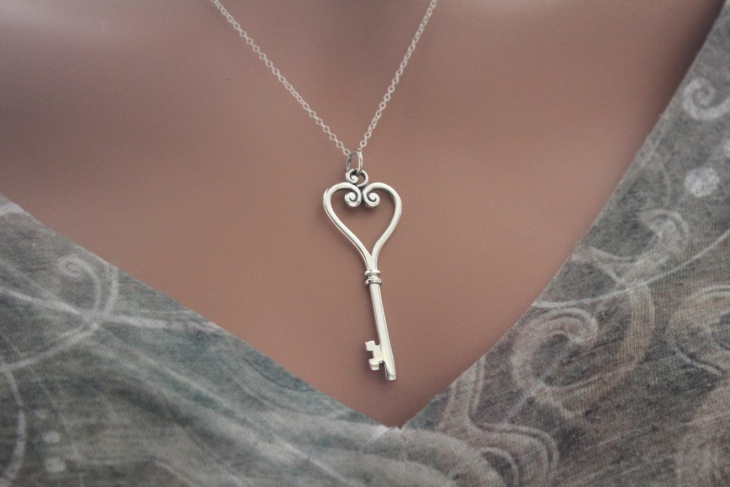 This small key pendant is made of 925 sterling silver and has a 20-inch long chain. This is a simple and elegant pendant with a realistic touch. 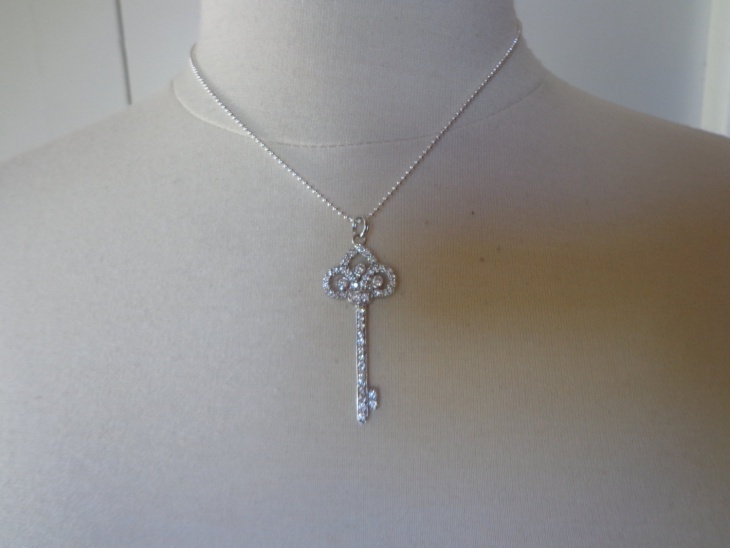 This vintage key pendant necklace features a sterling silver and rhinestone key and a sterling silver chain. The chain measures 16 inches in length. 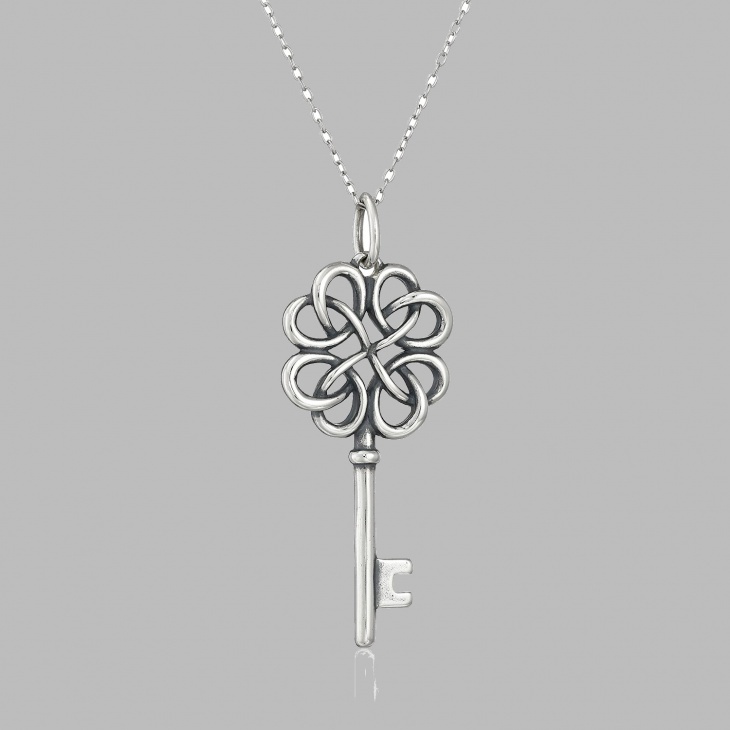 This Celtic key pendant is made of oxidized sterling silver and features twisted designs. The 18-inch cable chain comes with a lobster-claw clasp. 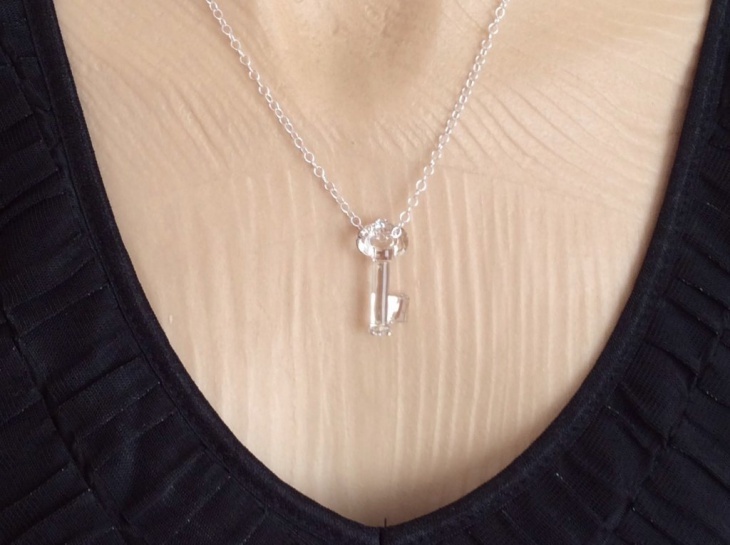 This crystal key pendant design includes a 30mm Swarovski key, connected to an 18-inch long sterling silver chain. It makes for a beautiful gift for your loved one. 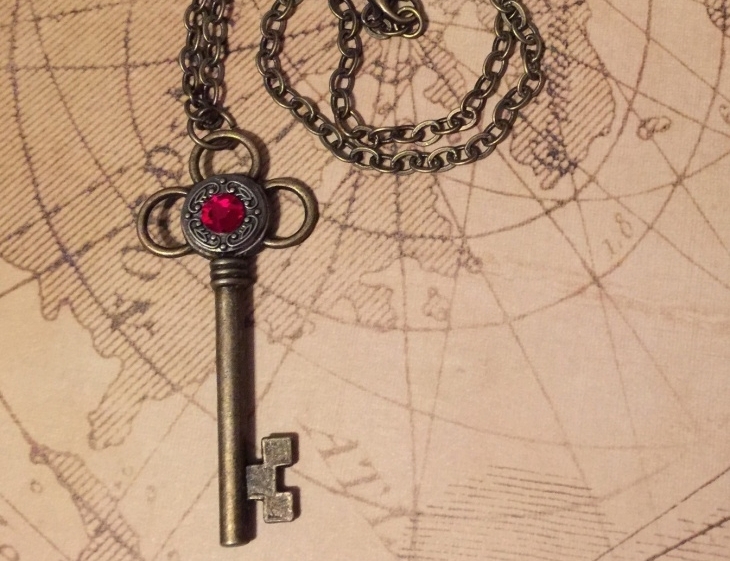 These were some key pendant designs that are worth looking at. 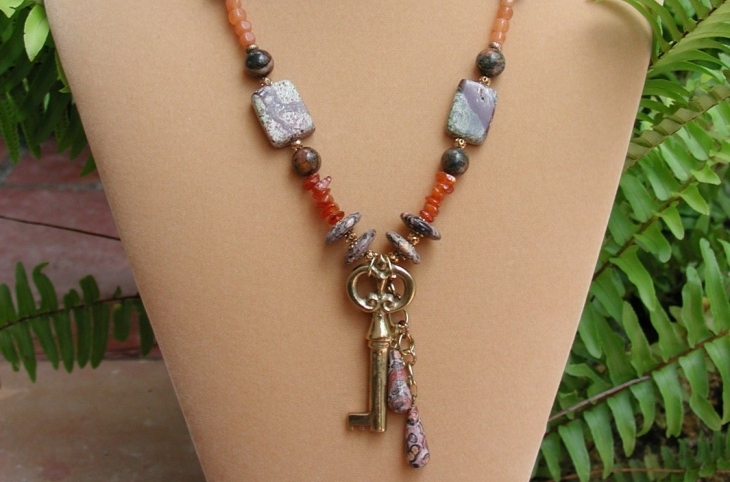 Key pendants can make a statement of style and substance. Keep exploring the designs and find a pendant that works for you. You can also look at oval pendants, which come in beautiful and elegant designs. Happy shopping!